The sentence all parents fear, all teachers hear about and many youth suddenly just HAVE TO say. But, what happens before one decides to quit? For some, putting make-up on in the morning simply takes time. Others love sleeping. Some just find school boring. We all have our reasons. 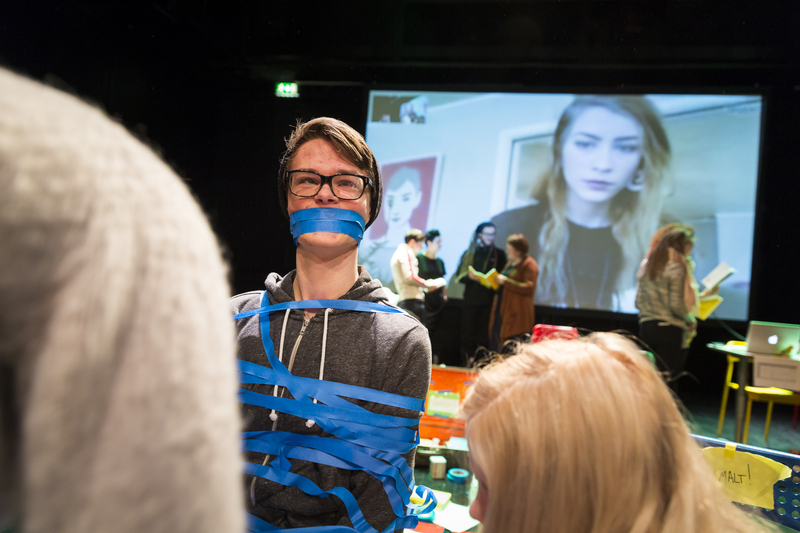 SNAKK FOR DEG SJØL – TALK FOR YOURSELF is an event trying to figure it out, where youth can talk for themselves. More than 400 youth participated in writing workshops with Rulleramp during the Autumn 2014. The texts written by these young adults are the starting points for the event. This is a unique project, causing attention in the educational community both nationally and internationally. We look into drop-out problematics in new ways. 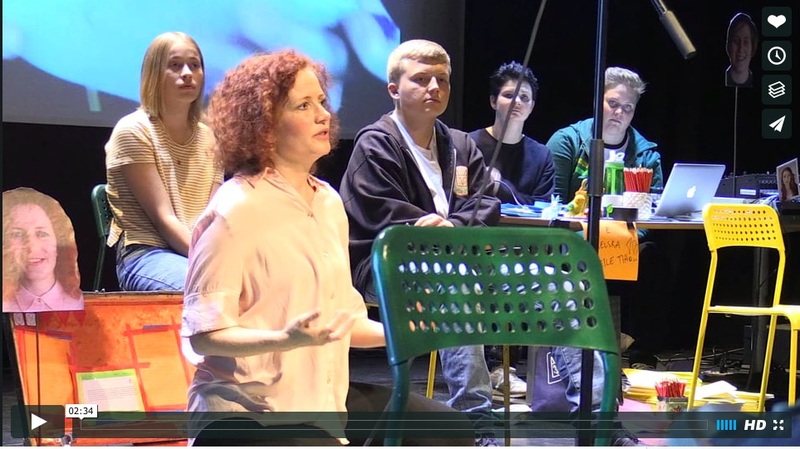 We take the youth´s texts to the stage. 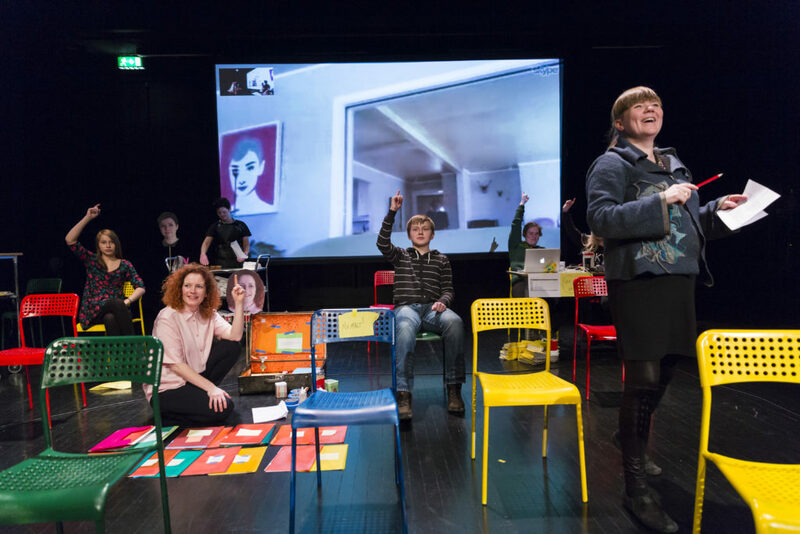 The theatre becomes an important player in a public debate. “Snakk for deg sjøl” is a performance with stories, disruptions and break. It is the class you´d never drop out of. Rikke Gürgens Gjærum, Harstad Tidene – dice 6. Hålogaland Theatre, Den Kulturelle Skolesekken, University of Tromsø, HATS, Ferske Scener & Troms Fylkeskommune. Supported by Gjensidigestiftelsen & Sparebankens kulturnæringsstiftelse.